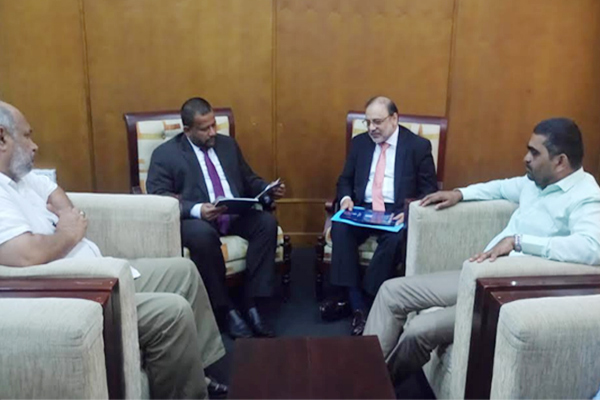 Dr Hasan Sohaib Murad, Chairman UMT, visited different cities of Sri Lanka including the capital Colombo where he hold talks with the government officials and briefed them about growing higher education trends in South Asian region. The visit was part of UMT’s internationalization initiatives whereby the University has stepped up admission expansion drive in SAARC member, Sri Lanka. 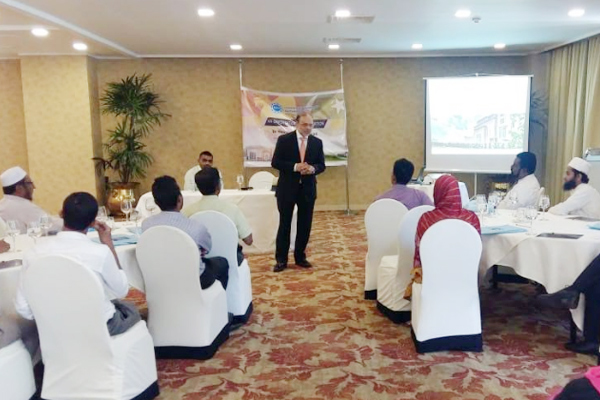 In Colombo, Dr Murad had a day-long activity that comprised of orientation presentations where a great number of Sri Lankan students showed up and submitted their queries regarding travelling to Pakistan and studying there. Dr Murad thoroughly answered the queries forwarded by Sir Lankan students and helped them chalk out a perfect plan regarding studying in Pakistan’s best universities. He told the Sri Lankan students that Pakistan was a land of abundant opportunities and investment, which was on the track of rapid development and innovation in all fields of life including education. He said UMT was one of the leading prestigious universities located in the heart of cultural city Lahore and that there were world-class facilities and scholarships available for international students, especially for SAARC countries. Dr Hasan Sohaib Murad also called on Risad Badhiutheen, Minister of Industry and Commerce, and strongly presented the case of higher education. He told Sri Lankan officials that “Collaboration in higher education is to bridge up gap among all SAARC countries and open up new vistas of human development.” He said that academic collaboration was one of the best ways to further improve bilateral relations and pave the way for sustainable human development. The Minister was deeply impressed with the quality education program launched by Pakistan’s premier universities like UMT. He said that being members of SAARC, both Sri Lanka and Pakistan had strong friendly ties. He appreciated Pakistani government’s endeavors toward curbing insurgency from the Sri Lankan soil and helping ease fertilizer crisis. Mr. Badhiutheen assured full support on behalf of Sri Lankan government to encourage the students to get enrolled in Pakistani universities. The minister was delighted to learn that leading Pakistani universities like UMT were offering quality education in science and technology, engineering, medicine, business, agriculture and computer sciences. He said that the Sri Lankan government was looking forward to explore new avenues of cooperation with its neighbors, especially with Pakistan. He said that Sri Lanka and Pakistan should continue exchanging information on trade, education and investment opportunities so that the trade between the two countries gets developed widely.